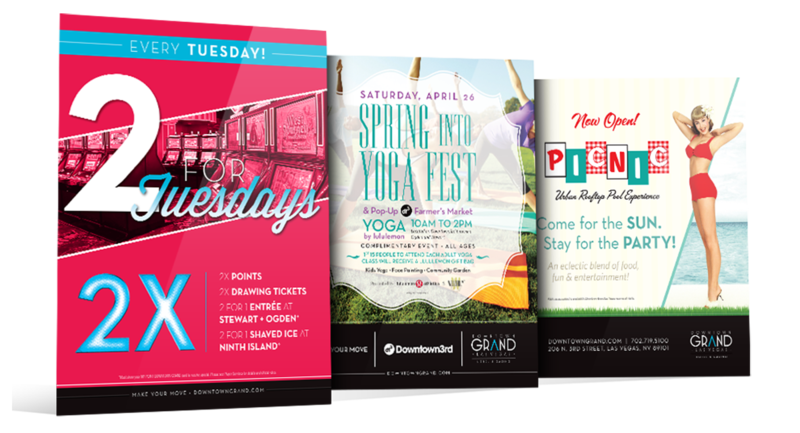 Downtown Grand approached us for our help with their “Spring Into Yoga Fest” poster campaign. We had to use our knowledge to appeal to a very specific target audience, and we were able to create an appealing design and marketing plan to attract that target audience. The result of this campaign turned into pure gold!